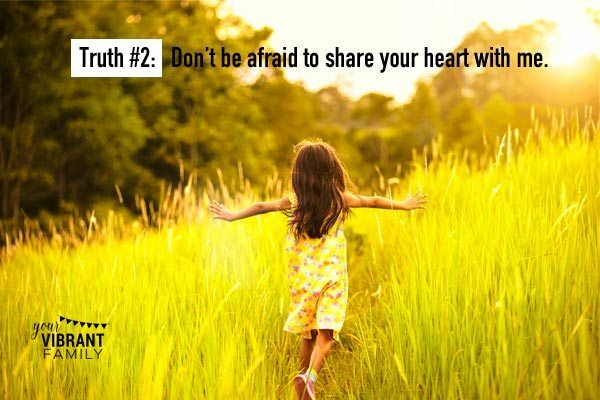 Wondering how to teach confidence to kids? On the surface, it seems that teaching kids how to have self confidence would be a big part of teaching children about God. I mean, doesn’t it make sense that raising self confident kids is the key? But I disagree. 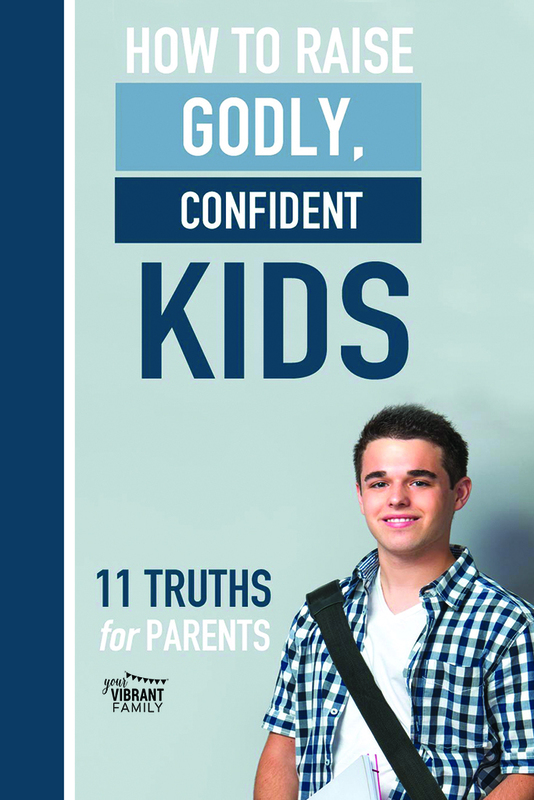 Our kids need more—way more—than just self confidence in order to be truly successful. We need to teach children how to have a godly confidence—an unshakeable, unchanging assurance—that is founded on a dependence on God. By teaching our kids how to develop self confidence based on God’s promises (instead of their own abilities) we can give our kids the firm foundation they need to accomplish the beautiful plans God has for them (Jeremiah 29:11). Perhaps it sounds wrong for Christian parents to not teach their kids how to have self confidence. But, you see, teaching kids how to have self confidence shouldn’t be the goal. To be quite frank, self-confidence (at least the way it’s defined by societal standards) isn’t biblical. Instead, we want our kids self worth to be determined not by their fleeting emotions (or the thoughts of those around them) but by the unchanging, deep riches of God’s love for them. That kind of self-worth doesn’t come from being more confident in self but from developing a daily dependence in God. P.S. The best way to how to teach kids to be confident? We want to encourage them to grow closer to God everyday through a daily Bible time. I’m not talking about a “check the box” Bible lesson. I’m talking about teaching kids how to understand and apply scripture to every day life. In order to build confidence in kids, our children need to know how to make wise godly decisions in their lives based on the Bible. And that only comes through knowing how to study the Bible. I want to share with you a simple way to teach kids how to study the Bible in less than 10 minutes a day! This free video course share this popular Bible study method–the 5Rs Bible Study™ Method–and gives practical ways that you can help kids develop a quiet time habit. Teaching kids how to have confidence starts with teaching them how to know God and how to get answers about life from the Bible. 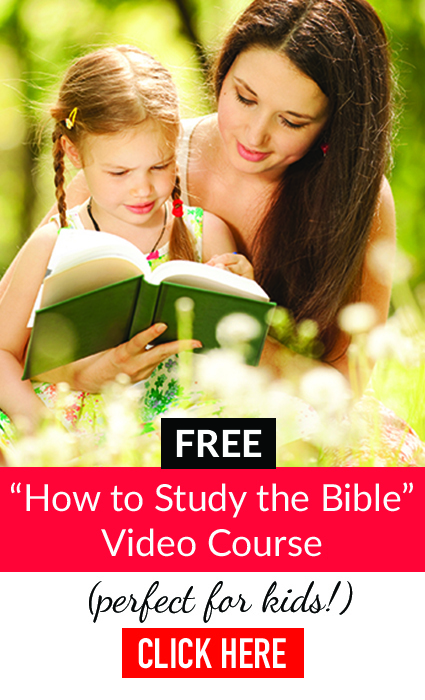 And this free Bible course shows you exactly how to teach your kids to study the Bible and, therefore how to teach confidence to kids in a biblical way. 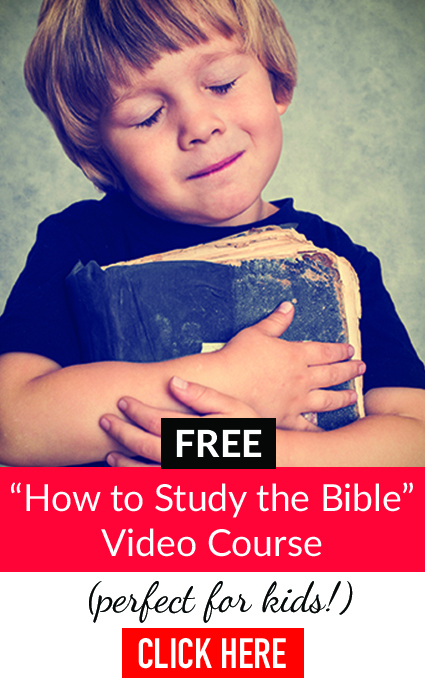 CLICK HERE TO GET THE FREE VIDEO COURSE ON HOW TO TEACH KIDS TO STUDY THE BIBLE. Since the enemy often uses society, culture and peer pressure to attack our kids’ confidence, imagine how different our world would be if we built confidence in kids by teaching them to find their worth through God’s eyes? Wouldn’t you love to develop this same godly confidence in your kids–creating a generation of children who define their self esteem by God’s promises? Let’s discover how we can teach kids godly confidence that’s founded not on our children’s imperfect abilities but on God’s great promises and plans. My husband and I firmly believe that if our kids can grasp these 11 biblical truths we will be raising the confident kids we long for them to become. 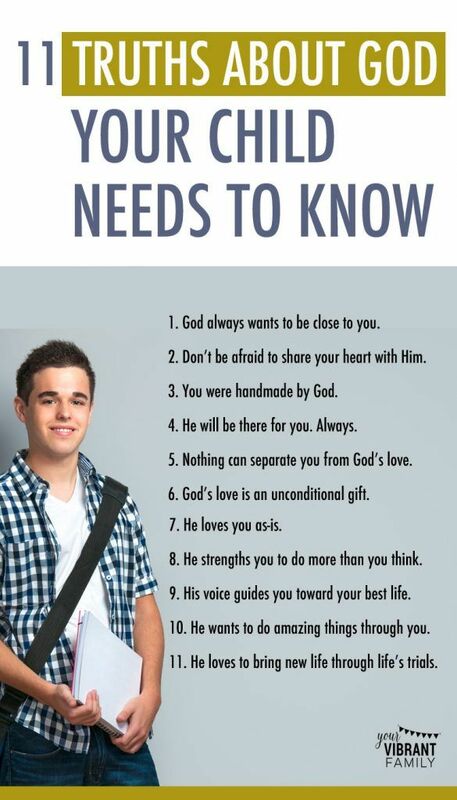 Let’s walk through each of these foundational truths that teach kids how to have confidence based on God’s promises for them. 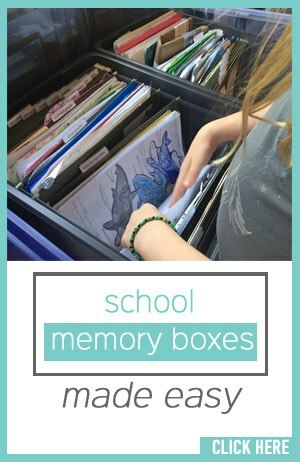 I’ve written each one from God’s perspective as if He were speaking to our kids directly. How awesome would it be if our kids were convinced–deep down in their soul–that they were continually being pursued by God’s love! I believe that if our kids knew that they were wholly and eternally loved by their creator (and allowed that principle to build their self-worth), they would never wonder how to have more self confidence. One of the enemy’s most insidious tactics is to tell our kids that they’ve made too many mistakes to be close to God. He wants to destroy our kids’ confidence by somehow convincing them that they are irreparably flawed. And yet, God tells us over and over in His word that He has perfectly formed us and that he knows every aspect of our lives (the good, the bad and the ugly). 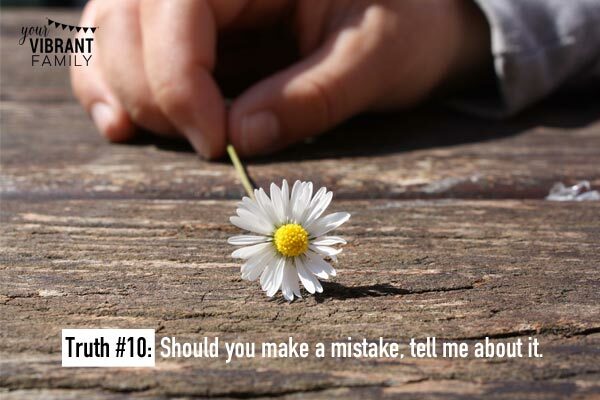 He is not afraid of our mistakes and in fact, wants us to share them with Him as means to grow closer! Friends, we must teach our kids that depending on God–trusting Him to love us through all our fears and mistakes–is how to have self-confidence that weathers any situation. Society has done an excellent job of portraying how we “should” look. We’re told daily what’s trending and what’s not. Magazine covers proclaim what clothing size is the “right” one in order to fit in and to be accepted. From an early age our kids are taught how to have self-confidence based on how they look. Of course, as women, you and I know how destructive self-image issues can be to our self-confidence! 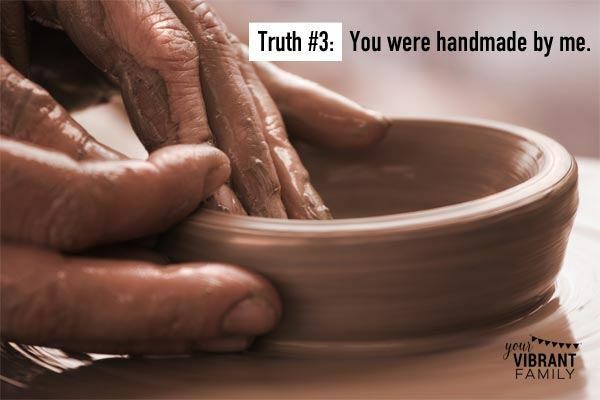 So imagine how incredibly powerful it would be if our children could grow up knowing that they are perfectly crafted by an awesome creator? Our family is currently going through a difficult trial and, let me tell you, being able to depend on Christ through this challenging time is what has kept our family sane. If we were depending on our self-confidence, my husband and I would be overwhelmed with doubts and uncertainty. I’m so grateful that God has proven over and over in my life that He is dependable and faithful, and that challenging life seasons are an opportunity for me to demonstrate to my kids how to grow deeper in self-confidence based on God’s promises. 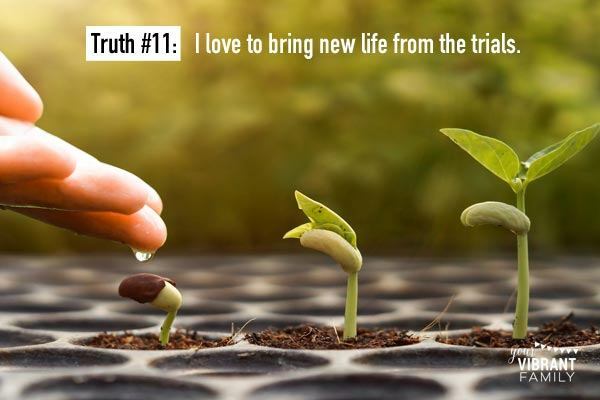 Trials are also an awesome way to teach kids about perseverance! P.S. Love these scriptures and want an easy, practical way for kids to understand biblical, godly confidence? 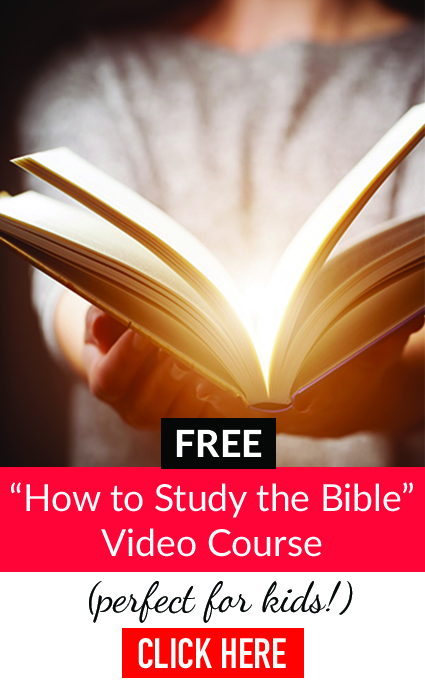 Download this free “How to Study the Bible” Video Course so that your kids can easily understand and apply these biblical truths to their lives. My daughter often has frequent nightmares. I remember having them too as a child and thus often being afraid to go to sleep. 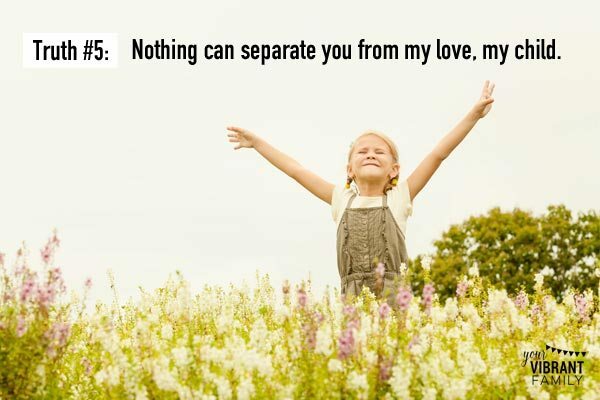 However, I’m so grateful that my daughter has learned the principle that there’s nothing that can separate her from God’s love. For about a year now, she sleeps with her Bible and with Christian music playing in the background as a reminder that nothing evil can overcome her when Christ is in her life. This simple truth has brought so much beautiful self-confidence in my daughter. I love when she reminds me not to be afraid because we can depend on God’s promises as our source of confidence. 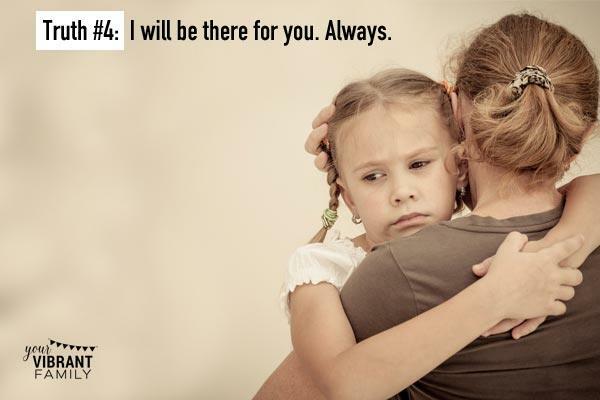 So many relationships in our world are conditional–you do this for me, and I’ll do that for you. It’s not always a bad thing per se (for example, employers expect employees to work in exchange for pay). However, it’s easy to let this mindset translate into our self-esteem: If we do certain things or act a certain way then we will be worthy of love. And that’s why God’s love stands out so brightly! If our kids are convinced of the truth that they are loved regardless by God, they will be equipped with a powerful confidence that can change the world! If we want to build godly, self-confident kids, we must teach our kids to always stay in contact with God through daily Bible reading and ongoing prayer. 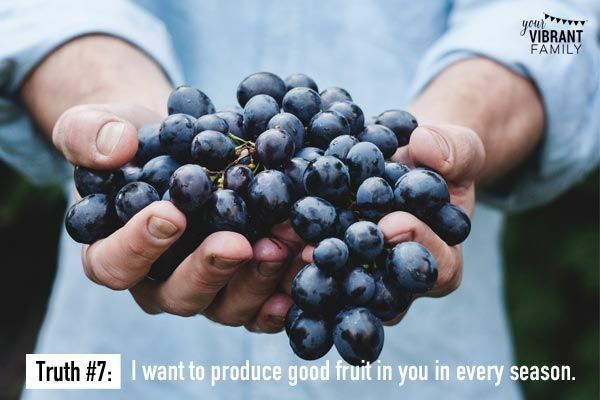 Jesus promises in John 15:4-8 that if we remain in Him like a vine stays connected to the branches then we can produce much fruit. Life can be incredibly hard, and we need the power of God surging through us if we want to be triumphant through all circumstances. If we allow our circumstances to dictate our self-worth we will be left depleted and searching. But if we stay close to Him–regularly reading the Bible and listening to His voice–then we can do amazing things for God. What a powerful truth about godly confidence to instill in our kids! The world is full of tempting solutions to pain and overwhelm. It tries to provide physical comforts for the spiritual and emotional emptiness we sometimes experience. 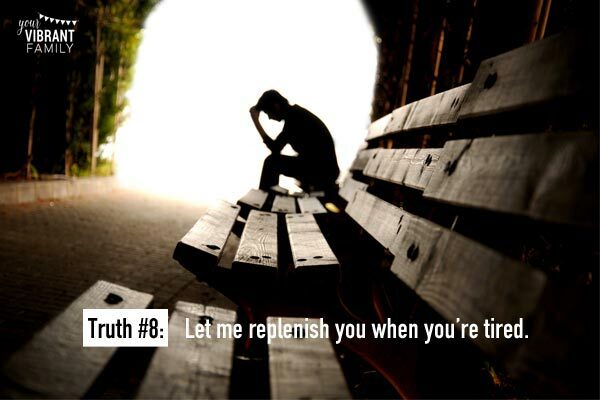 But what if instead we taught our kids to look to Christ when they are tired? What if we demonstrated to them that they didn’t have to do it on their own but that God was always there to strengthen and replenish them? Knowing that Christ is the fuel behind our strength is a powerful confidence builder for anyone, especially children. We live in a world that is continually shouting for our attention. Without the guide of authentic truth found in God it is so easy to allow other’s opinions and worldly pressures to dictate our choices! 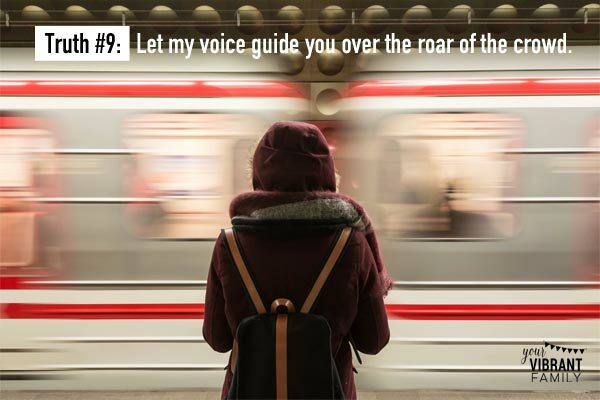 Our kids need to learn how to drown out all those voices and focus solely on the “voice of the shepherd” as described in John 10:1-10. When our children can learn to hear and obey the still, loving voice of God, they can much more easily learn how to develop godly self confidence and discover their true purpose. They can eschew peer pressure and stand strong in godly truth. P.S. 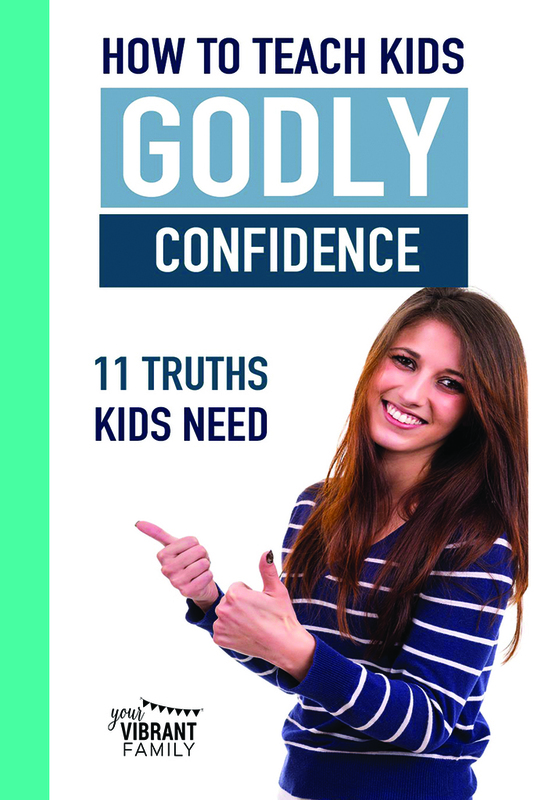 Don’t forget: If you want an easy, practical way for kids to understand and apply these Bible verses about godly self-confidence, you’ve got to watch this FREE 3-session video course on how to study the Bible in less than 10 minutes a day. Don’t miss this opportunity to teach kids how to have self confidence founded in God through daily Bible study! Click here to get access to this free video course. Romans 3:23 says that all have sinned and fallen short of God’s glorious standard. We must recognize that all of us–even those straight-as-an-arrow kids–sometimes make huge mistakes that separate us from God. My husband and I are doing our best to teach our kids that confession is an important part of keeping our relationship with God pure. We share with them that sin separates, but that we don’t have to live in debilitating shame because of it. 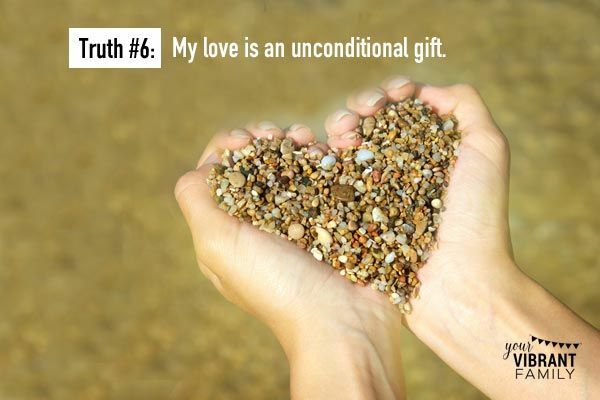 God made a way for us to stay confidently connected with Him despite our failures and that’s through a real relationship with Him where confession is a regular practice. Want to teach kids how to have self-confidence? Teach them God’s promise that we are loved fully and completely despite our mistakes! Lastly, we want to teach our kids that everything in their lives is meant to be used by God. Every trial and every tear has a purpose. Every comfort He gives through difficult times can be used to teach us how to comfort others through their own difficulties (2 Corinthians 1:3-7; 2 Corinthians 4:7-10). We can boldly seek God in all circumstances–even when things don’t make sense on the surface–because we know that God is the great recycler. He transforms our darkest moments into glorious masterpieces that shine brightly for Him in a dark world. Just knowing this simple truth can give our kids incredible confidence at all times! Of course there’s so much work that goes into pouring these truths into our children! Teaching kids how to have self confidence based on God’s promises requires more than just taking our kids to church. It is a daily layering–bit-by-bit–of these 11 core biblical ideas in their heart. And don’t forget to get the free video teaching on how to teach your kids how to study the Bible so that your kids can learn how to grow in godly confidence!